On Monday, 22nd May, 2017 partypoker is set to launch a new loyalty poker offer that provides their clients with a back rake every week. The new loyalty scheme is quite straightforward and lucrative for the frequent poker players. A 40% rakeback will be deposited to your account each week for every 2000 points. When you engage in real money gambling, you will be entitled to 1 point for every 1 dollar contributed towards a cash game rake or a tournament buy-in. All you need to do is opt in through the rewards section and earn a minimum of 25 points. After that, you will start receiving back rake into your account. The more points you earn, the higher the amount of rakeback percentage you receive every week. The weekly cash back is accumulated and paid every Monday after which you can use it on any games or services at party poker. Make sure to read the terms and conditions regarding the ins and outs of the new cash back scheme. The cashback scheme is divided into points, tiers, and percentages. The points start from 25 which is worth a loyalty payment of $5.00. This amount will yield a 20% cashback at the end of the week. The maximum points you can earn are 2000 which translates to $800. When you reach this top tier, your rakeback is calculated at 40% percent of the initial buy-in or game rake. The partypoker managing director commented that the loyalty scheme had been improved to reward their esteemed customers with regular cashback. After reviewing the current poker offer, Tom Waters realized that it was rather complicated and confusing for most of their players. The poker store, therefore, decided to overhaul the system through suggestions from top poker players in the site. This yielded the new poker offer that will be available come May 22nd. The Party Poker Ambassador, Patrick Leonard was also available for comments. He was excited that the improvement, in which he was a pioneer, would fulfill the needs of the loyal gamers. If you would like to enjoy this new lucrative poker offer, now is the time to register with partypoker. However, if you already have an account, sign in and hit the tables to claim your rakeback by the end of the week. Party Poker is a popular poker room globally with a large volume of traffic, and competitive poker offers & promotions. In addition to that, it provides gamers with a plethora of modern poker games, cash games, and tournaments for a fantastic poker experience. It offers the best starting point for amateur gamblers, thanks to its soft games such as lower–limits of Hold’em and Omaha. 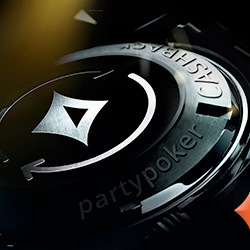 Today, Party Poker features a new software redesign with cutting edge features. Significant changes include a crisp design, quick seat feature, live action preview, and integrated multi-tabling system among others. This poker room is also quite secure because it operates on a reliable platform and is certified by eGaming, GameCare, and eCOGRA.